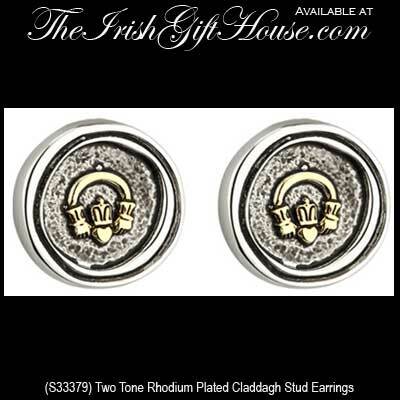 Oxidized Two Tone Plated Claddagh Stud Earrings. Part of the Tara Ireland Collection from Solvar Irish Jewelry. Made in Dublin, Ireland.